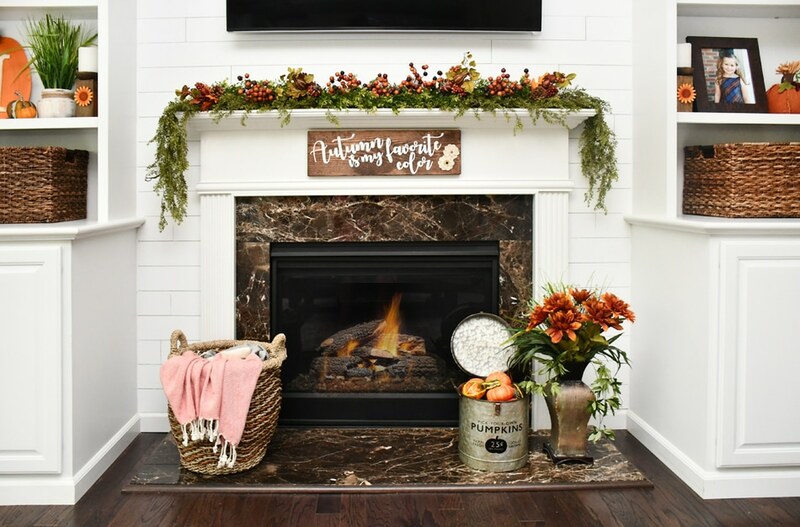 I know I just finished updating our family room last week for Fall, but I wanted to make one last little project to complete the look… a little Fall DIY Wood Sign for our fireplace! I came across this saying the other day and thought THIS IS SO ME!! 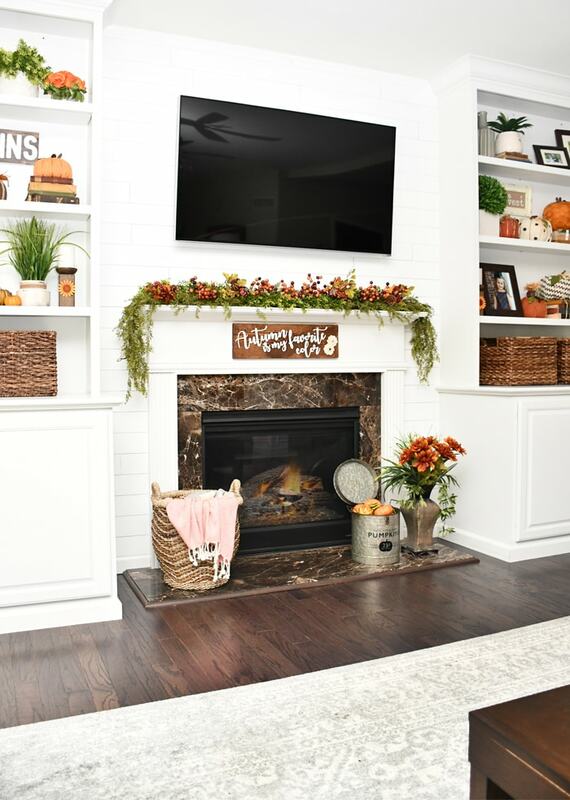 I always look forward to fall with the beautiful, warm colors and my home definitely shows that! A couple weeks ago I mentioned toying around with the idea of buying a vinyl cutting machine. Whelp, I bit the bullet and ordered a Cricut Explore Air™ 2 Mint Machine + EVERYTHING Starter Set. Not the new Maker version because I just couldn’t justify the price of that one, but I was happy to score the older version (plus a lot of extra goodies) for a good price. 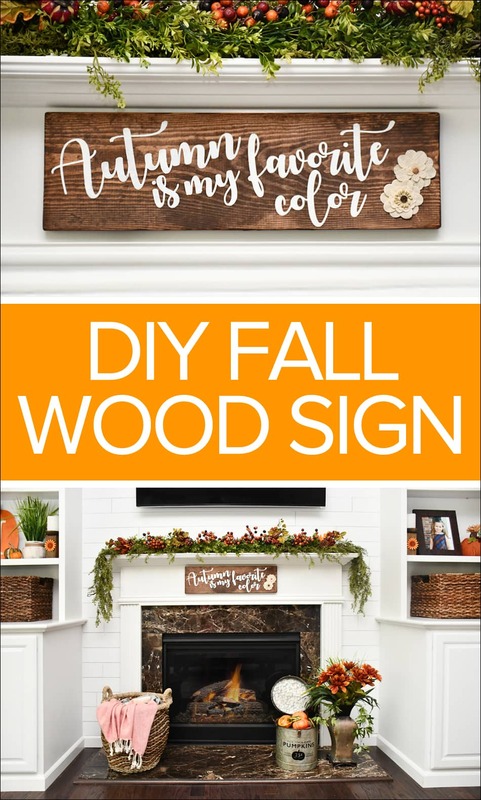 For the Fall DIY Wood Sign we started 1×8 board that we cut to 24 inches wide. We then stained it with Rustoleum Ultimate Wood Stain in Dark Walnut. 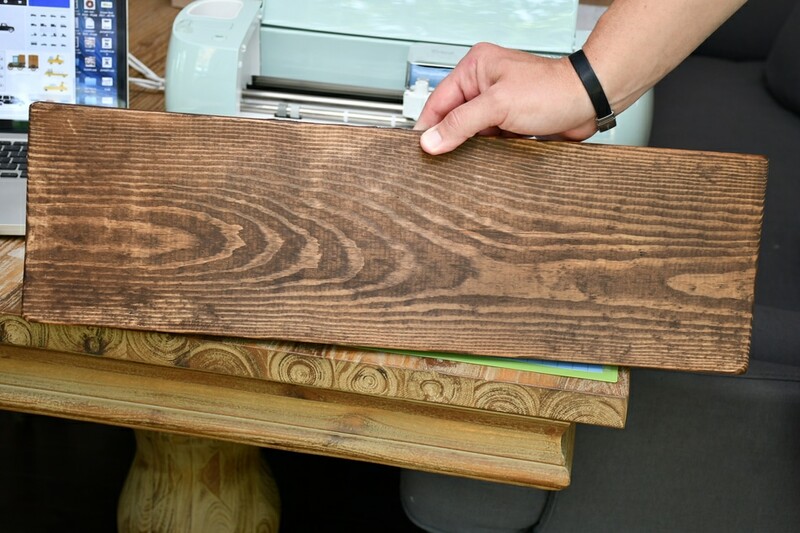 Definitely my favorite stain to use because it dries fast and no wood conditioner is needed! I laid out my design in Photoshop first and then imported a JPG into Cricut. 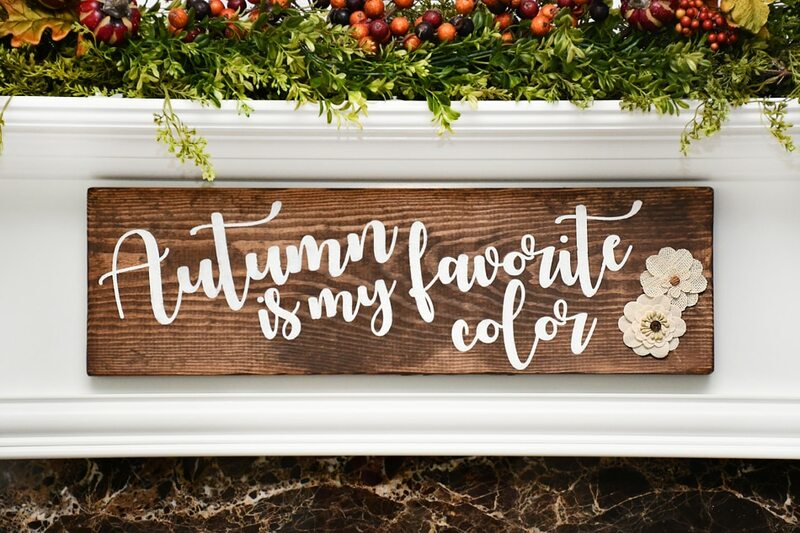 If you have a Cricut and want to try this yourself, you can download a JPG of the design HERE. I cut it on stencil vinyl and then laid it out on the 1×8 board. 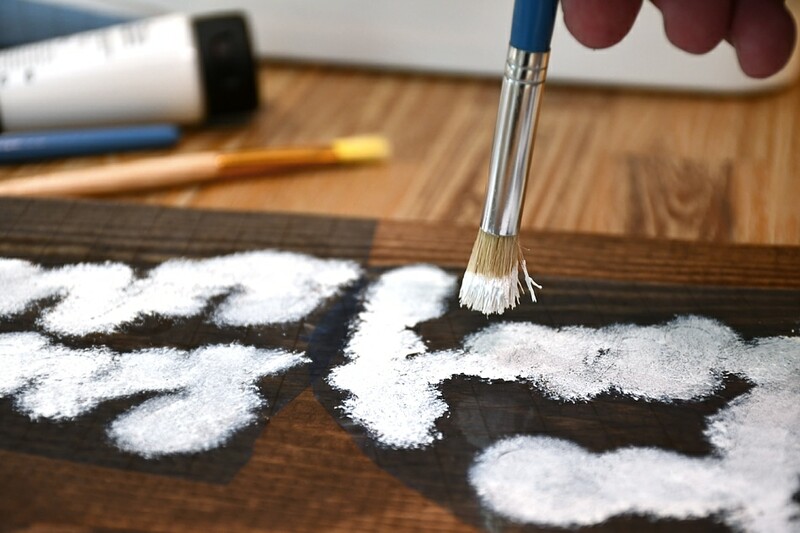 Once my design was stuck in place, I used white acrylic paint and a stencil brush to fill in the negative space of the stencil. When it dried, I peeled off the stencil vinyl and added some cute little flowers on the side. Then I just used some Command Brand strips to stick it into place on my fireplace! 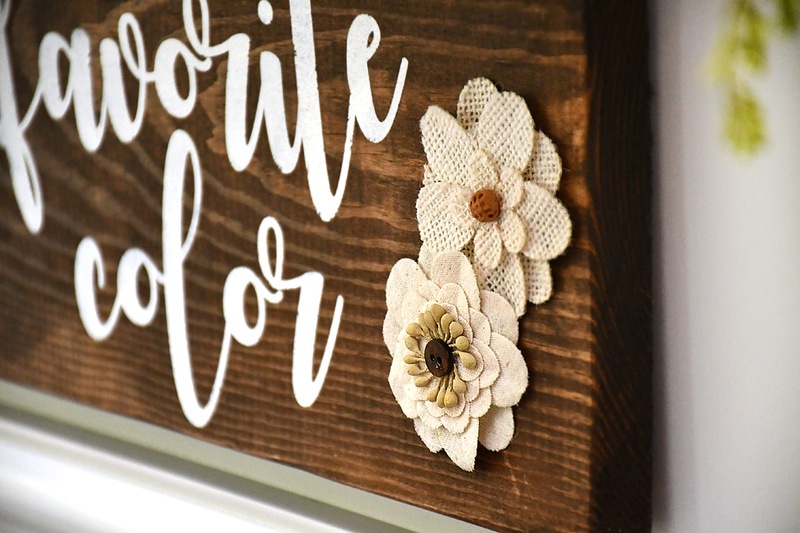 I have to say I’ve been on a bit of a DIY sign kick ever since I got this new Cricut Explore Air™ 2 machine. It was quite a big purchase for me so I’m really hoping it pays off with more DIY projects and crafts! Do you guys own a Cricut or vinyl cutting machine? 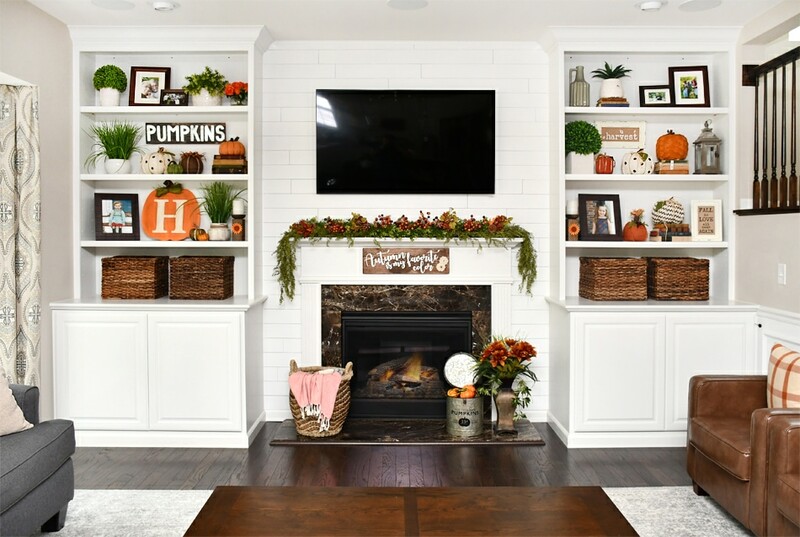 For more Fall projects, click HERE. I got one for Christmas this year and am having a hard time getting it to do stuff. Would you do some tutorials as blog Posts? Yes I will! And I’ll start doing more projects using it. Just bought some cream pillow covers. 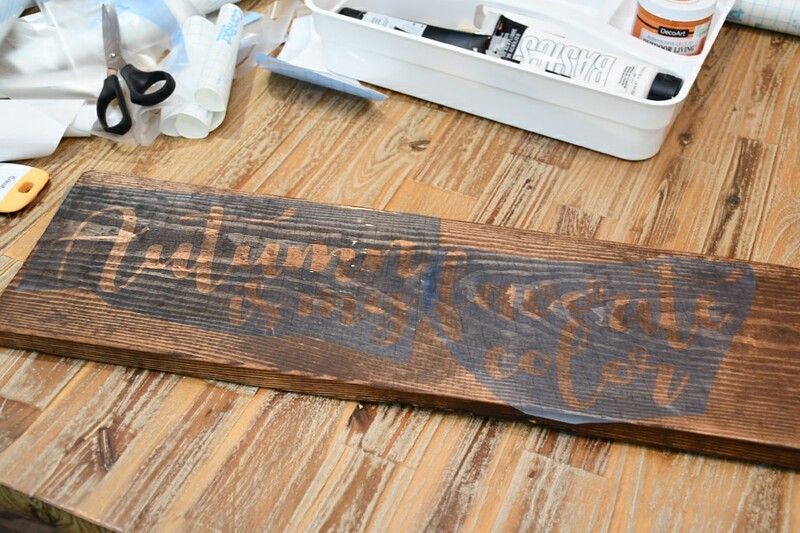 Hope to stencil them… fingers crossed! I got a Silhouette for Christmas last year. I’m slowly learning to use it. YouTube has been a good resource on learning how to use it. I’m quite ready to do more with it! Aaah, YouTube is a great idea for tutorials! Will have to check some out. And yes, can’t wait to see what I can do with it! Could I buy the vinyl stencil from you? I don’t own a machine. Yes, I can print one for you! Please email me at erin@howtonestforless.com to discuss. Thanks!